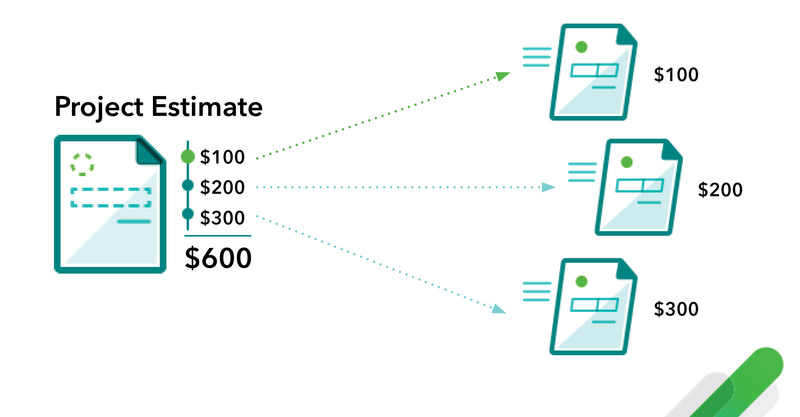 Learn about creating more than one invoice from a single estimate in QuickBooks. In QuickBooks, you can split an estimate into as many invoices as you need. This is called progress invoicing or progress billing. Many project-based businesses use progress invoicing to request payments during a project. As the project goes along, your customers can make partial payments until the estimate is paid in full. This flexibility gives you and your customers an easy way to keep track of project estimates and invoices.